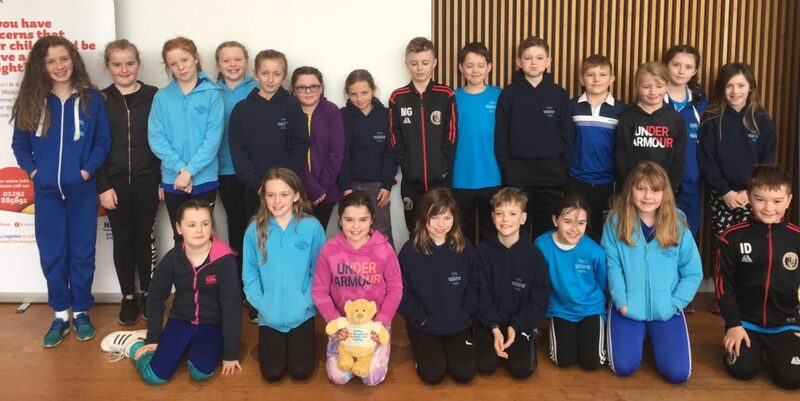 Junior swimmers from Kintyre Amateur Swimming Club (KASC) secured their first ever mini league round win. Aimed at swimmers aged 11 and under, mini league is one of the noisiest and most exciting competitions in swimming. For the uninitiated, clubs compete in three rounds to try and earn a spot in the June final, with swimmers competing individual and relay swims according to their age groups. 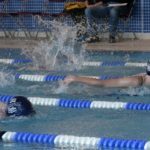 Last year Kintyre Amateur Swimming Club (KASC) was drawn against five of the top six teams and missed out on a place in the final. Being picked for the mini league squad is a big honour – for some, it is their first competition outside of the club. Dedicated training has been ongoing since the start of the year to practice the key skills of dives, turns and relay takeovers. Mini league is one of the few galas where the club competes as a team and there is no doubt it brings out the best in the youngsters. The atmosphere at a mini league tie is incredible – everyone wants to do their best for the club and brings their A-game. Team spirit is already buzzing and that is a lot to do with the coaches, who always make sure training is fun and exciting, as well as hard work! 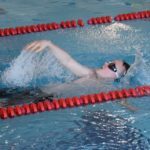 In the recent round one, 24 KASC swimmers, along with coaches and parents, travelled to the Portal in Irvine to compete against Kilmarnock and Dunoon. After the warm-up this year’s mini league captains, Kirstie Renton and Max Graham, went forward for the lane draw which saw Kintyre swimmers take to lane five. The host club, Kilmarnock, was drawn in lane four with Dunoon in two and additional lanes allocated to each club. 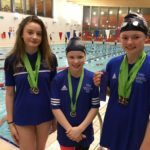 Swimmers from Kintyre continued to impress with a number of wins in the individual events and going into the freestyle relays KASC was looking to secure its first ever mini league round win. After all 46 events were swum the final scores were announced with Dunoon in third place on 122 points, Kilmarnock in second with 149 points and Kintyre in first place with 179 point – a first ever mini league round win! The next round is a home tie in Aqualibrium against South Ayrshire Swim Team and Milngavie and Bearsden on Sunday, April 28.